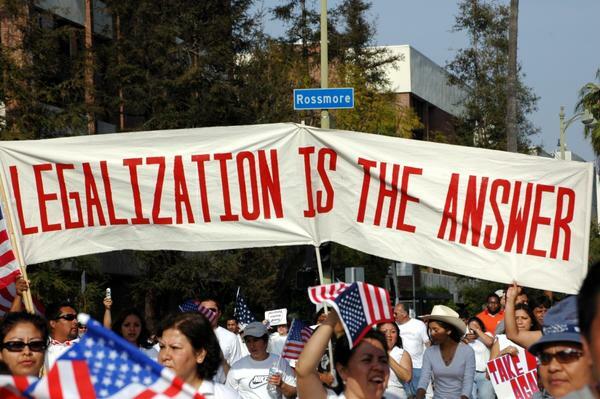 The U.S. Immigration Debate: Legalization or Citizenship? U.S. House of Representatives Speaker Boehner has again hit the brakes on immigration reform, claiming widespread doubt among House Republicans that President Obama “can be trusted to enforce our laws.” The dramatic about-face came only a week after Boehner and other House leaders released a one-page declaration of “Standards for Immigration Reform,” renewing hope that a legislative compromise could be reached this year. According to press reports, reasons for the reversal included fear among a majority of House Republicans that party infighting over the legalization of the country’s 11 million unauthorized immigrants would disrupt the Republican base and imperil their perceived advantage in the upcoming midterm elections. Despite rhetoric that places the blame on the president’s alleged unwillingness to implement certain unspecified laws, the immediate concern for House Republicans is not one of substance but of timing, according to Republican members. The Republicans’ “Standards” document endorsed a vaguely defined program that would grant legal status to certain categories of unauthorized immigrants, but stopped short of a special pathway to citizenship like the one outlined in the Senate bill currently at the center of discussion. What they mean by “legal status” remains uncertain. Some Republicans have suggested that newly legalized immigrants would be permanently barred from naturalization; others insist that undocumented immigrants, once legalized, would be able to access normal avenues to citizenship (i.e., work visas, marriage to a citizen spouse, etc.) if available to them. The White House and House Democrats have expressed willingness to listen to any emerging proposal that would offer limited legal status. Many Senate Democrats and immigration advocates argue, however, that legalization without eligibility for naturalization is too great a concession and would create a permanent underclass of millions of legalized immigrants unable to access the rights and privileges of citizenship. House Republican leaders appear to judge that – at least for now – they cannot sell legalization to their own caucus and seal the deal for immigration reform. Even if they were to reach a consensus that some form of legalization is good, a majority of House Republicans either openly reject any sort of “amnesty” or consider addressing such a controversial issue too risky in an election year, especially before Congressional primaries. If and when the Republican Party is ready to deal, willingness on the part of Democrats to reach a compromise will depend largely on the type of legalization Republicans are prepared to support. If legalization without an explicit pathway to citizenship is the only way to halt record deportations, most Democrats appear willing to make the concession. One thing is clear: clogged immigration courts, nearly 2 million deportations, and $17.9 billion spent annually on immigration enforcement have not translated into the bargaining chip the Obama administration had hoped for – nor have such actions given the lie to Republican accusations that he cannot be trusted to enforce the law. And with no specific proposals on the table, Democrats, the American people, and millions of undocumented immigrants are left guessing what House Republicans mean by legalization. Approval last week in Colorado and Washington state of measures allowing the recreational use of marijuana has fueled debate on whether legalization will reduce drug traffickers’ profits and the violence surrounding the illicit narcotics trade. In both states, ballots passed with comfortable margins of 53 percent (Colorado) and 55 percent (Washington). The measures legalize personal possession of up to one ounce of marijuana and allow the drug to be legally sold (and taxed) in licensed stores. A similar initiative failed to pass in Oregon, gaining less than 45 percent of the vote. A recent study by a Mexican think tank, the Mexican Institute of Competitiveness (IMCO), and Alejandro Hope (an InSight Crime contributor) found that passage of the initiatives in all three states would reduce the revenue of Mexican drug trafficking organizations by as much as 30 percent. Hope has pointed out on Animal Político, a popular Mexican news site, that the impact will depend on the U.S. federal government’s response. Attorney General Eric Holder strongly opposed such measures in 2010 when California residents voted on Proposition 19, but he did not issue strong statements this year. The government’s response to last week’s votes has been muted; according to Reuters, the US Justice Department reacted to the measures by stating that its drug enforcement policy had not changed. Mexico, a major supplier of marijuana, is unlikely to feel the impact of these measures for a while. Parts of the Colorado measure will come into effect after 30 days, but the Washington measure will not take effect for a year. 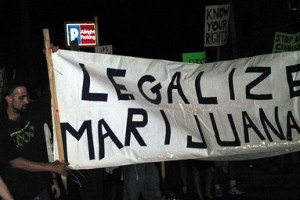 But, over the long term, the votes indicate shifting attitudes towards marijuana prohibition in the United States – on the heels of similar shifts in Latin American countries eager to find alternatives to the current war on drugs. The presidents of Guatemala, Mexico, and Colombia have emphasized the need for discussions, and Uruguay and Chile have considered their own marijuana legalization bills. InSight Crime cautions, however, that the drug organizations have proved to be very adaptable in finding new sources of revenue – including methamphetamines, migrant smuggling, and even illegal mining. * Insight Crime is affiliated with American University’s Center for Latin American and Latino Studies, which produces AULABLOG. Click here for the full text and additional links.